Stacy founded Griffin Therapy Center in 2012 looking to ignite a change within the Denton County community. The past several years have been highlighted by a passion to provide affordable, quality care to the community. This vision has led a solid team growing together to form our current clinical and clerical group at GTC. As a result, Stacy recently took the leap to fully transition to a Director's role for our office. Her focus continues to be growing a team of whole-hearted clinicians who provide the quality services you have come to expect at Griffin Therapy Center. Stacy has expanded and is taking on more Hardship Waiver - Immigration Evaluations than ever. She will travel anywhere in Texas to you to ensure you get the evaluation representation needed for your case. Her reports are thorough, reliable and turnaround is speedy. We invite you or your lawyer to reach out to us with any questions you may have. Stacy is always seeking new adventures and thrill, which is why in her spare time she is either traveling to remote locations across the globe or renovating a 1971 Airstream with a dream to scoot around the country full-time. Both travel and the Airstream are perfect reminders that anything worth having is not always easy. Stella received her Master's degree in Nursing from Chamberlain College of Nursing and her Bachelor's degree in Science from University of Texas in Arlington. Pursuing further education, she is currently working on her doctorate in nursing and expanding her experience by joining Griffin Therapy Center in private practice. Her doctorate work holds a focus of promoting medication adherence within the psychiatric population. Her areas of interest include mental health, health promotion, education and improving healthcare access to underserved and vulnerable populations. She has experience working with adolescents and adults, and is currently seeking supervision to expand her knowledge to work with children. Alaina enjoys working with adults, children, and adolescents. She believes in using a collaborative approach to help people discover their goals and work toward them in a warm and caring environment. She often uses evidence-based cognitive behavioral therapy, but tailors counseling to your unique needs. A few of Alaina’s specialties are anxiety, stress management, and life transitions. She also works with couples utilizing skills from The Gottman Institute and is trained in play therapy. Alaina graduated with a Bachelor's Degree in Psychology from the University of Texas at Tyler. She then continued to follow her passion for helping others by earning a Master's Degree in Counseling from the University of North Texas. Alaina continues to attend a variety of high quality continuing education workshops. Hilary enjoys working with adults, adolescents, and couples, and is especially passionate about her work in counseling women. She has a diverse background in working with victims of domestic and sexual violence, trauma, and substance abuse. Her skills include helping people through difficulties such as eating disorders, depression, and anxiety. Hilary’s top priority is to build a safe, accepting relationship to begin unraveling the tangled web of complicated lives. She works to explore one’s consciousness by providing a gentle and honest approach. She strives to empower all to live in the present moment where they are whole, instead of being pulled by the grief of the past or the anxiety of the future. Hilary uses person-centered and existential approaches to therapy, allowing her to tailor her work to the individual’s needs and worldview. She is deeply dedicated to her profession; it is more than her livelihood, it is her calling. Hilary keeps up to date on advancements in technique and theory. 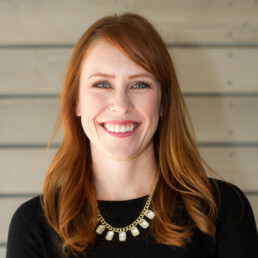 She graduated with a Bachelor’s Degree in Human Development from Texas Woman’s University and then attended graduate school at the University of North Texas where she earned a Master’s of Science Degree in Community Mental Health Counseling. Ashley practices with people in all walks of life from children to adults. She is driven toward empowering women and has a strong passion for working with those who have experienced or are experiencing domestic violence or sexual assault. Overall, she builds a safe place to process and heal when therapeutically addressing various forms of trauma. Ashley believes that healing past trauma is important for future healing. Family dynamics continually play a part in our present concerns and thought patterns, giving us room as adults to challenge and heal. She meets you where you are, providing a non judgmental and safe space for lasting change. She loves adding a natural and holistic approach to the therapeutic process to enhance overall wellness. Ashley graduated with a Bachelor’s Degree in Psychology from the University of North Texas and continued at UNT to get her Masters of Science degree in Clinical Mental Health Counseling. Prior to getting her Masters degree Ashley worked with college students as an academic advisor which strengthened her love for helping others figure life out! Ashley understands the importance of having a positive counseling experience and has a desire to help others feel comfortable and safe when discussing the hard stuff. Ashley loves reading young adult fiction, and has a zest for travel. Her dream vacation would be to go to Scotland! She has a passion for history, superheroes and baseball! Kendra Jeanne Watkins is a National Certified Counselor (NCC), Licensed Professional Counselor Intern, and esteemed life coach. She believes in helping others achieve a sense of balance and joy in their lives. As an undergraduate, Kendra attended Southwestern University in Georgetown, Texas where she earned a Bachelor of Arts in Psychology. Kendra then moved to Dallas area to attend the University of North Texas in Denton, where she earned her Master of Science in Counseling. Kendra achieved excellence and high honors as a college student. She has spent the majority of her counseling career helping people who have experienced trauma or crisis. Kendra is passionate about working with children, adolescents, and adults. Very near and dear to Kendra’s heart is working with the victims of trauma and/or domestic abuse, people walking through the divorce process, and all those who experience hardships of life dealing with anxiety, grief, and depression. Kendra has been married for 14 years and in her spare time enjoys spending time with her husband hiking and camping when he is not making her laugh. She also enjoys a good cup of coffee, reading, word games, and playing with her dog Kingsley. Meg wants to live in a world of peace and harmony where new shoes grow on trees and chocolate cake is low carb! She is available to answer any questions you may have regarding your insurance or the operations of Griffin Therapy Center. If she does not know the answer, she will not rest easy until she tracks it down!